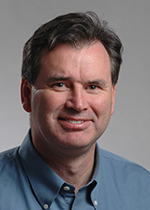 Dr. Conolly is a Full Professor of Bioengineering and Electrical Engineering and Computer Sciences at UC Berkeley, where he holds the Montford G. Cook Endowed Chair. He was elected Chair of the UC Berkeley-UCSF Joint Graduate Group in Bioengineering from 2006-2009. He currently serves as Vice Chair of Instruction in BioE at UC Berkeley. Dr. Conolly specializes in medical imaging and biosensing hardware, with a focus on Magnetic Particle Imaging and Magnetic Resonance Imaging. His research group has built all of the Magnetic Particle Imaging scanners now in the USA. MPI shows extraordinary promise as a safe, noninvasive, and quantitative imaging method. MPI biomedical applications include stem cell tracking, perfusion imaging, angiography and cancer imaging. Prof. Conolly has won research support from CIRM, NIH and UC Discovery, the Siebel Foundation and the Keck Foundation. He received his B.S in Electrical Engineering from Boston University, and his M.S. and Ph.D. in Electrical Engineering from Stanford University. Dr. Conolly has 30 patents in various stages of approval, and more than half of these have been licensed by industry. In 2004, Prof. Conolly was a recipient of the prestigious Stanford's Outstanding Inventor award.